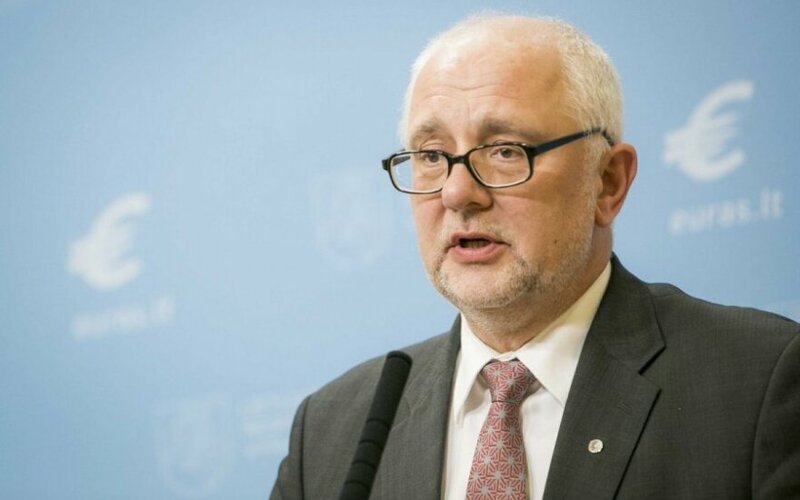 Lithuanian Prime Minister Algirdas Butkevičius says that he will decide on the fate of Science and Education Minister Dainius Pavalkis after scrutinizing the Labour Party's information about the minister's work. Minister Pavalkis, meanwhile, says that he is not planning to resign from the post. He says that he will not bow to pressure from his party and will resign only if this is what the Political Council and the prime minister decide. "First of all, this is not the way political processes work. Now it seems to be more like a crackdown (from the Labour Party - Elta). If for the sake of Lithuania and the Government the entire Political Council and the current ruling coalition approve this decision, I will be forced to leave," the minister said. He added the he did not hear a reproach about his work from President Dalia Grybauskaitė during their meeting on Wednesday morning. The minister did not rule out the possibility that if an agreement on his fate is not reached, then he would be forced to leave the Labour Party. According to Pavalkis, he would often be under pressure from the party regarding the appointment of certain officials at the ministry. PM Butkevičius said that he had received a document from representatives of the Labour Party, which delegated him to the post, where all the failed tasks for Pavalkis are enlisted, as well as proposals for the future. "I will read all the provided proposals in the course of the week; my advisers have already been presented with the proposals so that they can compare them with our previous analysis," the PM said on Wednesday. According to Butkevičius, the Labour Party has no intentions of leaving the ruling coalition at the moment.